Rapid Sheet metal parts from various materials including stainless steel, aluminum, brass and galvanized steel can be provided by NextProto. 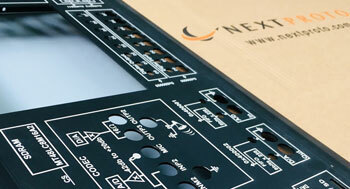 We offer excellent quality sheet metal stamping and laser cutting prototypes. Our services include laser cutting, stamping and bending. We can install thread inserts according to your specification. Whatever your sheet metal prototyping needs are, we are the people that can help you achieve your goals, in a timely and cost effective manner. 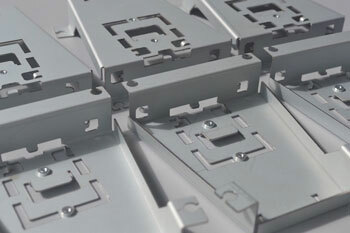 The sheet metal parts can be made by so-called simple stamping dies. It is a process used to manufacture sheet metal components with low tooling cost and quick turnaround. Parts are formed by stamped tooling or laser cut processes. Prototypes formed by stamp tooling or laser cut processes are accurately close to the actual production parts. galvanized steel and stainless steel. 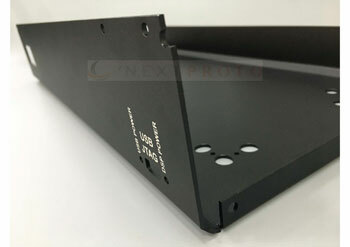 Sheet metal parts are used for car body prototypes, medical tables and many other applications. Sometimes we combine rapid tooling, CNC machining and sheet metal fabrication methods to make rapid prototypes to meet your needs. Our sheet metal service include laser cutting, stamping and bending. We also offer a range of surface finishings such as anodizing, powder coating, laser etching etc. Our price is much lower than competitors but quality is still the best.